Hisashi Yamamoto is a professor at Chubu University and an emeritus professor at the University of Chicago. He studied chemistry at Kyoto University and then moved to Harvard University, where he earned his PhD in 1971. 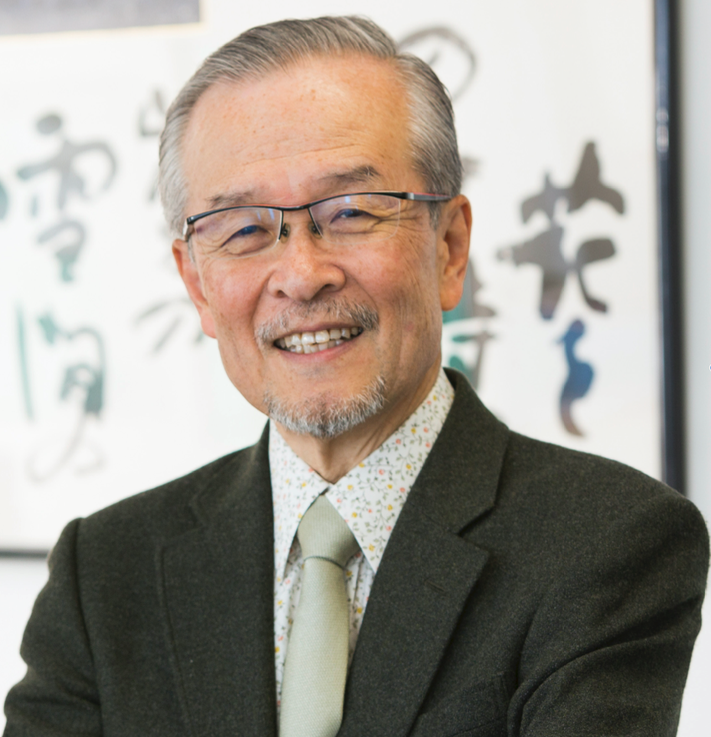 Over the years, Yamamoto has uncovered novel aspects of Lewis and Brønsted acid catalysts in selective organic synthesis, major tools in the synthesis of both simple and complex organic molecules. During his career, he has discovered a wide variety of powerful new synthetic reactions, reagents, and catalysts based on acid catalysis chemistry. When and why did you decide to become a scientist? In middle school, I wasn’t a good student because I wasn’t interested in many things. I was simply interested in chemistry: changing materials from one to the other sounded very exciting to me. When I arrived in middle school, I immediately joined the chemistry club and stayed there until I left for high school – and I had already read a university level organic chemistry book. I had an unbalanced study attitude: I focus on what I like! What do you like the most about working as a chemist? I like chemistry because we can find very unexpected findings. Japanese and western cultures have different approaches to nature. Western culture tries to control nature, Japanese culture, on the contrary, it’s not about controlling but to accept nature and live with it, to collaborate with it. A nice example of the different approaches would be that when western science means to control rivers to prevent floods, a big dam is built. In Japan, no such kind of dam existed 150 years ago; instead, we make lots of small channels, and when heavy rain falls, the multitude of channels will sprawl the water. When I work and look at some nice findings in nature or chemistry, I try to accept that information by myself, not to control: just to accept the new information. If I accept everything, a new feeling can come out and then I’m able to find very interesting phenomena. To me this is so simple and easy to understand, if I insist my way of thinking then it’s not so simple, it makes it complicated. Failure is always a chance for success. Failure means that your expectations were wrong. When I fail, I force myself to look at it and accept the nature of the mistake. Then, once I have accepted the mistake I can study it much better. So, failure is welcome, it’s an opportunity to grow up. I do some sports, like golfing and this kind of stuff, but I try to think about my project 24 hours a day: always. This is so important! But I also need to relax, and I try to enjoy it. Because, I still think about my project during the relaxation time, a new idea can come out! So, too much concentration is bad, won’t produce any native idea, if you are relaxed some ideas will come up. What advice do you have for young researchers who want to become excellent researchers and group leaders? That’s a very difficult question because everybody is different! I’m not a religious person, but I like to read a Buddhism book. The book is in Chinese, I can read at least some of it, and one of its descriptions really impressed me: you need to realise that now is everything. This instant is very important, it’s all your existence, there’s no future and no past, so you have to concentrate your attitude in the present time and how can you feel alive in the present. This is one of those things that’s easy to say but difficult to do, but quite important, even for researchers! You must do your experiments, write papers, and you have to devote yourself to it! Favourite scientist: I’ve been very lucky: I’m old and that means I have met a lot of smart people. There was this Japanese mathematician, Heisuke Hironaka, who was already a full professor at Harvard when he was 30 years old. I was doing my PhD and he would take me out for lunch regularly because as a student, I wouldn’t have enough money. Once when he came to pick me up at the lab for lunch, I was very busy doing experiments etc, and I asked him to wait for a while for me to finish. So, he waited without saying a word for 5 or 10 minutes and then he asked me “are you satisfied to work so hard?” and I replied, “when I work very hard I feel satisfied because maybe I am doing something important.” To what he replied that to him is the opposite! He has a big house near Cambridge, with a garden with flowers, trees, and a hammock, and he said when I lay down in the hammock and think about the mathematics, then I’m very happy because when I do something I’m frightened I’m losing my life with unnecessary things. This was very shocking to me because I didn’t think on such a way, but every second he said he wanted to do something with his life. If you haven’t been a scientist: an architect. Which is very similar to being a chemist, some design buildings, others molecules. Favourite destination: San Sebastian, it has the best food in the world! Favourite book: the Buddhist book by Dogen. What is science to you? Everything! Favourite female scientist: Marie Curie, she was very brave!